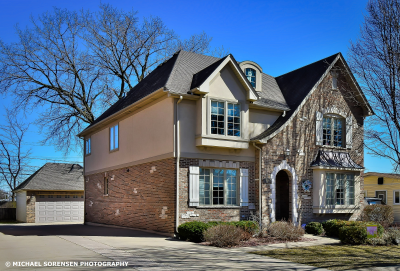 Showings: (773) 987-8224 - English or Polish. 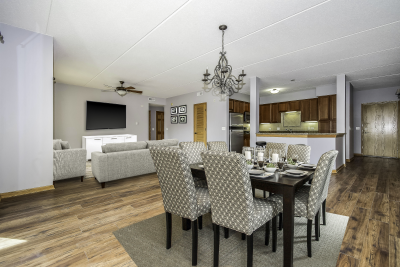 Special offer: $3,000 buyer commission rebate when you buy this condo with Michael Sorensen as your agent. Welcome to 8727 W Bryn Mawr Ave Unit 307. BRYN MAWR PLACE. THE LARGEST 2 BED & 2 BATH UNIT IN COMPLEX! DESIRABLE END UNIT WITH SUN-DRENCHED SOUTH & WEST EXPOSURE RECEIVING THE MOST SUNLIGHT! 3RD FLOOR S/W CORNER UNIT LOCATED IN THE MIDDLE BUILDING THAT BACKS TO A QUIET RESIDENTIAL STREET. FRESHLY PAINTED AND BRAND NEW WOOD LAMINATE FLOORS JUST INSTALLED. HUGE LIVING & DINING ROOM. LARGE EAT-IN KITCHEN WITH TABLE SPACE, GRANITE COUNTERS, 42" CABINETS AND STAINLESS STEEL APPLIANCES. UPGRADED OAK TRIM AND 6 PANEL DOORS THROUGHOUT THE UNIT! LARGE MASTER BEDROOM SUITE WITH WALK-IN CLOSET; EN-SUITE BATHROOM WITH SOAKING TUB AND SEPARATE SHOWER. IN-UNIT LAUNDRY WITH FULL SIZE WASHER & DRYER. GREAT VIEWS FROM 14X6 BALCONY. INDOOR HEATED GARAGE PARKING AND STORAGE INCLUDED. ELEVATOR BUILDING. MINUTES TO O'HARE AIRPORT, ROSEMONT ENTERTAINMENT DISTRICT THAT OFFERS GREAT RESTAURANTS AND NEW SHOPPING MALL. WALKING DISTANCE TO CTA AND BLUE LINE TO DOWNTOWN CHICAGO. GREAT ACCESS TO I-90 AND I-294. BRING OFFERS.